Making this quilt top for our daybed was a challenge, but I really like how it came together. When the daybed is made up, only the medium gray will show, keeping the daytime look more like a couch than a bed. But, I was able to work enough interest into the design to keep me happy. The little touch of orange (I think it’s Kona Kumquat) makes all the difference. I am especially happy with the backing fabric. 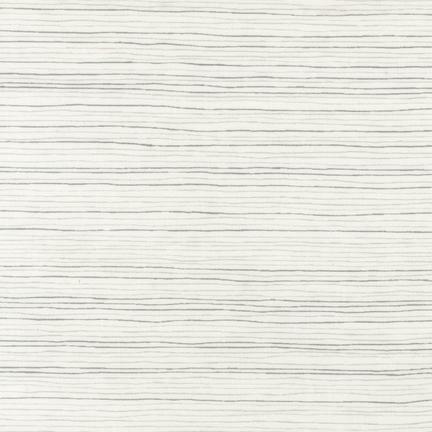 I wanted something subdued, and this subtle gray stripe from Carolyn Friedlander’s Botanics line is perfect. 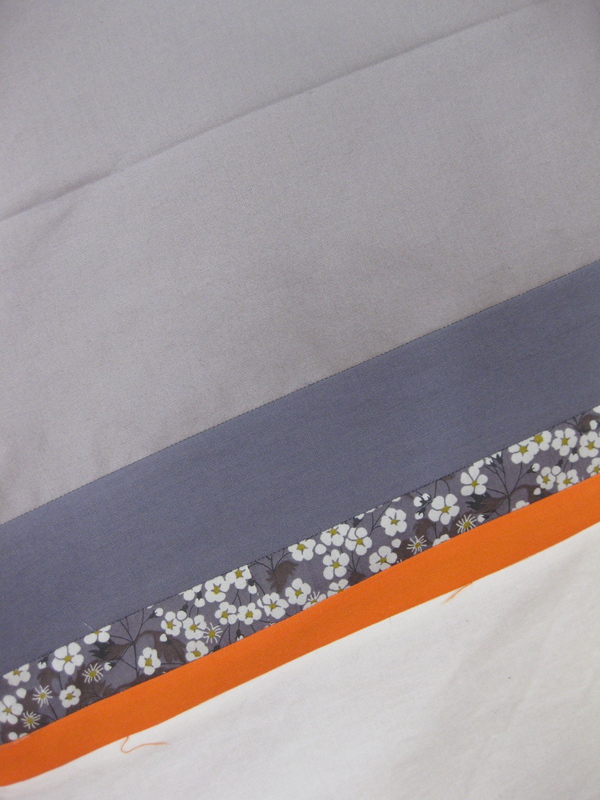 (I bought my yardage from Marmalade Fabrics.) 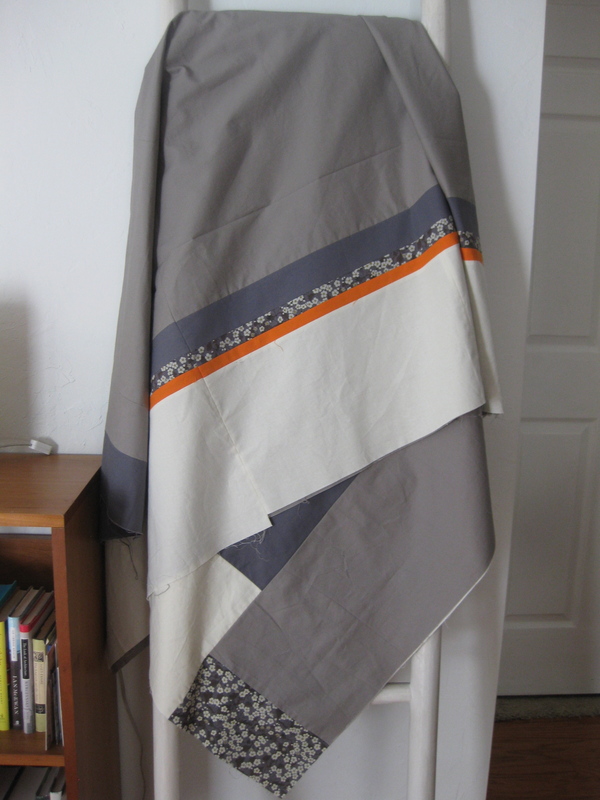 I was really pleased that the background is a warm white–which goes really nicely with the Kona Bone in the quilt top. I am trying something new with the quilting. I usually quilt in a diamond pattern that I mark with washable pencil lines. It takes a long time to mark all the lines but I am weirdly attached to the process–something about the precision appeals to me. For this quilt, I want straight vertical lines. I plan to use the piecing seams and a few lines I made by pressing the folded quilt top in half and then in fourths as guides. I am nervous about being able to stay on course–especially since the guide on my walking foot broke off years ago. I really hope it works! This entry was posted in fabric, quilts and tagged daybed, Kona cotton, Liberty of London, marking a quilt top, modern quilt on March 5, 2014 by brigitdermott.